Edward W. Schervish, M.D. is a partner of the Michigan Institute of Urology, P.C. 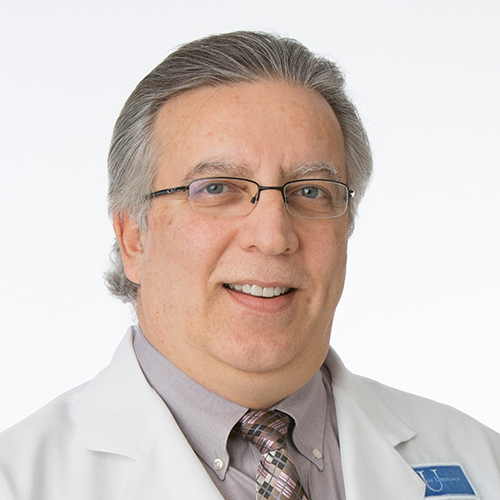 He has practiced Urology in the Metropolitan Detroit area since 1991. Dr. Schervish is board certified in the specialty of Urology by the American Board of Urology. He specializes in Urologic Oncology (Cancer) as well as minimally invasive robotic and laparoscopic surgery, including single incision surgery. Dr. Schervish received a Bachelor of Science degree from the University of Michigan, Ann Arbor, Michigan. He received his Doctor of Medicine degree from Loyola Stritch School of Medicine, Chicago, Illinois. Surgical residency was completed at Henry Ford Hospital in 1986 and Urologic residency at Henry Ford Hospital, Detroit, Michigan in 1989. He also completed a two-year Urologic Oncology Fellowship at Memorial Sloan-Kettering Cancer Center, New York, New York in 1991, which allowed a foundation, second to none, for urologic cancer care. Dr. Schervish’s hospital affiliations include, St. John Hospital and Medical Center, William Beaumont Hospitals, (Grosse Pointe, Royal Oak and Troy campuses), Cottage Hospital, St. John Macomb Hospital, Henry Ford Macomb Hospital and Huron Valley Hospital. Dr. Schervish serves as a member of the Southwest Oncology Group (SWOG), the Eastern Cooperative Group (ECOG) and the Radiation Therapy Oncology Group (RTOG). He is the Chairman of the Cancer Committee at St. John Hospital and Medical Center, Detroit. Dr. Schervish has published numerous papers on the management of urologic tumors, as well as laparoscopic nephrectomy. He has one of the largest series of prostate cancer patients treated with radical prostatectomy, robotic prostatectomy and radioactive seed implants in Michigan. Dr. Schervish also specializes in creating new bladders following major surgical treatment of bladder cancer, as well as organ preservation surgery. He has trained numerous physicians around the state in the use of the robot for prostate removal. Dr. Schervish’s hobbies include; golf, baseball and landscaping.